The days are still warm, the nights pleasantly cool by comparison. The sun, while beautiful in the dappled shadows it casts, is relentless in it’s mid-day attention. My plants and lawn are suffering. The heat, without any accompanying moisture, is causing not only my gardens to stress but their owner (me) as well. I do my part to alleviate the stress on both parties. This morning, before the deck repair guy came, I grabbed a nice cup of java (capital C this time) and headed out into the front yard. I call it my Holy Place, and while I’ve not worshipped there for a while it was nice to return. The congregation of flowers and plants welcomed me and when they saw I came bearing water they rejoiced. There were also different chairs there to support me in my leisure, not new chairs but chairs re-positioned from the deck while repairs were under way. 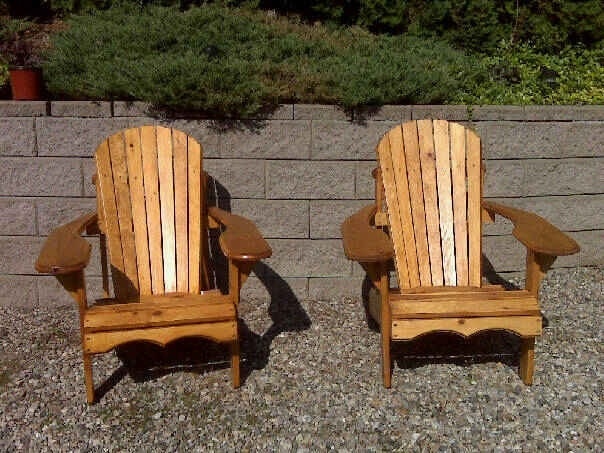 These are wicker, my normal church chairs are Adirondacks. They are equally as comfortable and beckon me no less, after all it’s the place not the pews. The sun played off the chairs and invited me in. I wavered, but my duty to water pulled me stronger. Perhaps I’ll take a seat this afternoon when things cool. I’ll take my laptop and write, or grab a book and read. A cold drink may be in hand. It’s those things that bring me the pleasure, that help me to relax and de-stress. And how can a man who’s retired, early no less, feel stress. That’s a good questions for which I have not an answer. Maybe it’s just in my nature, maybe I’m just an uptight individual, maybe depression is having an uncommon effect on me. I don’t know. I just know in that place, my holy place, I can chill and feel ok. Maybe better than ok, I feel good. I can sit and survey my domain. I can revisit my holy place and feel the presence of calm.